I left Livingston, Texas, and began to work my way towards the Gulf of Mexico. I was planning to spend the night in a Walmart parking lot when I came upon a sign for Bastrop State Park in the same area. I made a split-second decision and decided to drive into the park to see if they had a campsite for the night. I like having electricity and my successful spontaneous Alabama Gulf stay was still confidently fresh in my psyche. I crossed my fingers for roads that fit my camper or a place I could easily turn around should a suitable site not be available. Over time, I’ve learned that worrying is needless 99% of the time, and it was no different today. Not only was there plenty of space available; they even had pull-through sites, so no need to back in! 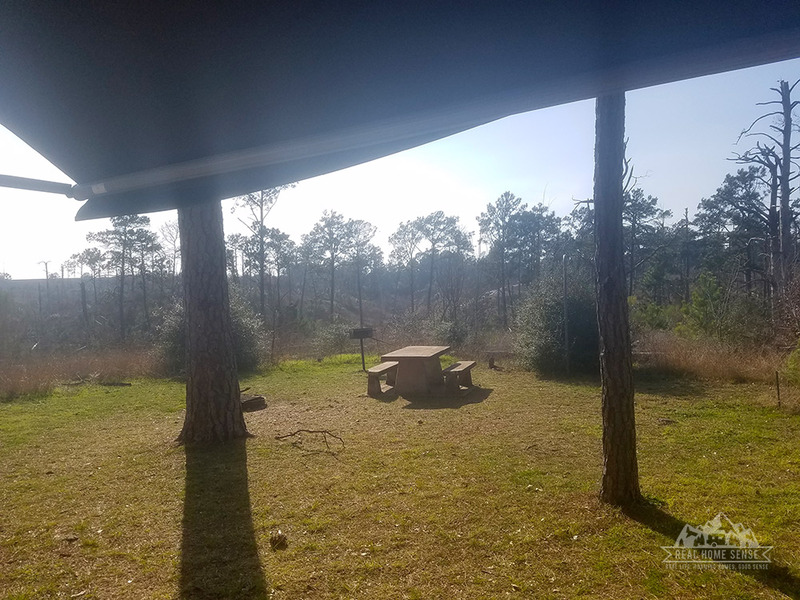 The Pineyhill section of the campground offers full hookups and is positioned on a ridge that overlooks a valley of trees on one side and a distant highway on the other… I had the latter of the two and the hum of the highway was heard as a whisper. After hooking up electric, I decided to explore the area and head to one of the trailheads not far from my spot. Earthen stairs led down into the valley, and as I descended, I sent off messages to people in my life letting them know I was hiking solo and approximately where I was. You see, I was scared. The park was on the outskirts of a city I was unfamiliar with, a distant suburb of Austin, and I didn’t know if I would see anyone on my trek or what type of people I may come across. But I figured that this was where the rubber met the road. Worrying is needless most of the time, but careful planning is important. 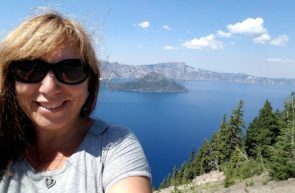 If I was going to travel solo, and actually be brave enough to do things on my own, I needed to continue to draw on my courage. At least there weren’t alligators! I put the thought of poisonous snakes out of my mind and prayed I’d see one before stepping on it; I definitely would NOT get up close and personal for a photo! Up close and personal for a photo? Who would be stupid enough to do that? I had moved to Richmond, Virginia, from Michigan, and was taking my daily walk in a nearby suburban park. I almost stepped on a snake that was sliding slowly along a paved path on a beautiful fall day. As I got closer with my phone, readying it for a picture, the snake stopped, I happily took the shot, warned the snake it might get run over if it didn’t move faster off the trail, and continued on. 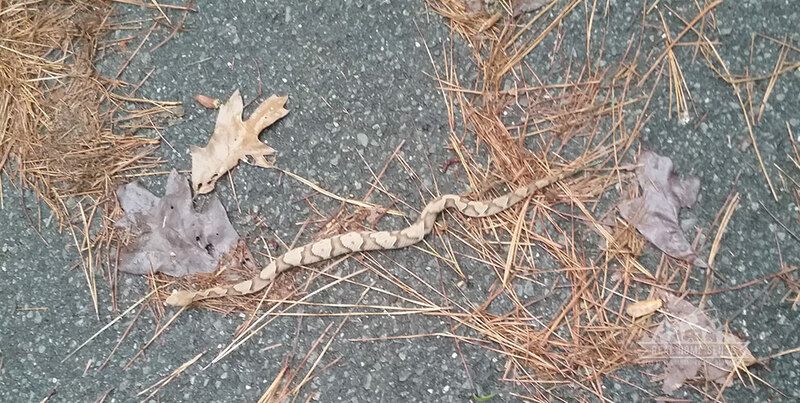 It wasn’t until I arrived home, shared my photo, and was informed I had coddled a Copperhead! I was judging my surroundings based on what I knew from past experience, and I did not know this new environment I was living in. I never expected to find a poisonous snake in the middle of a city. Lessons in life often parallel each other. We head into life situations expecting one thing and discover something completely different. I decide I need to keep an open mind, open eyes, and try to be vigilantly aware of my surroundings. Water Fountain originally built by the CCC in the 1930’s but was hidden beneath vegetation until the 2011 fire. 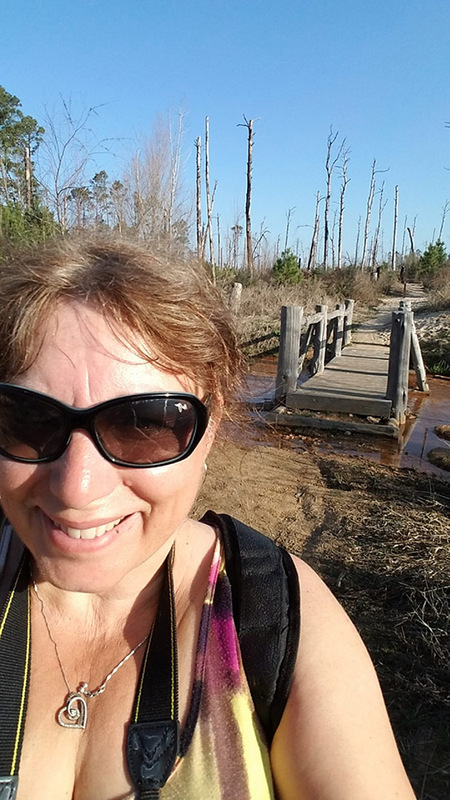 So, this hike at Bastrop State Park was begun with a little fear and a lot of trepidation; I knew nothing about Texas and the wildlife calling it home. Bastrop State Park looked a little worse for wear. Although greenery was coming in above the sandy valley floor, it had obviously seen better days. 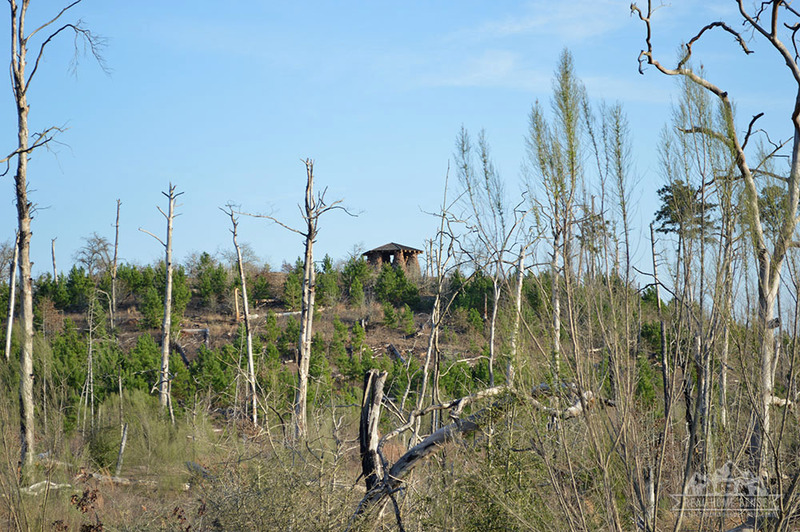 The landscape had been ravaged by fire judging from the number of tall dead trees. Sure enough, I soon discovered that in 2011, the area was faced with record-breaking heat and drought conditions that were considered worse than the Dust Bowl of the 1930s. A tropical storm hit Texas on September 4th, resulting in multiple fires set in areas where there had been no prescribed burns, and fires had been suppressed for decades. 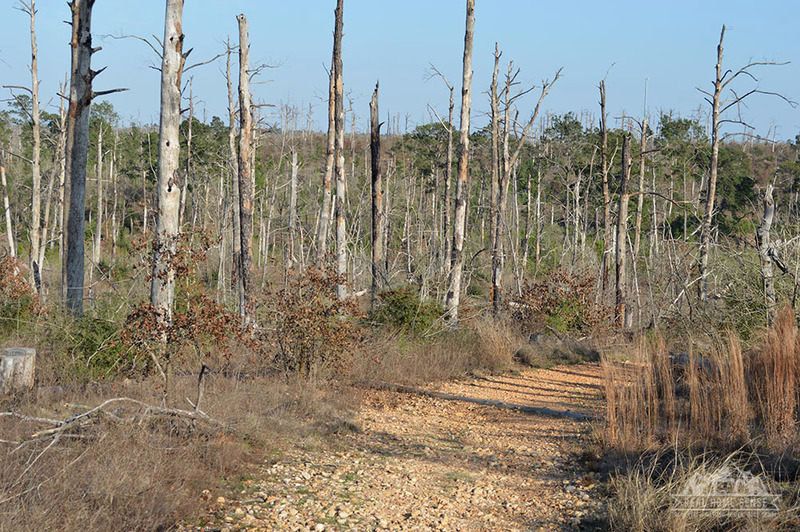 The resulting damage to Bastrop County, by the time the fire was formally contained on October 10, was brutal. Two people had lost their lives, 673 homes and 32,400 acres had burned; the fires caused 325 million dollars in insured property damage. 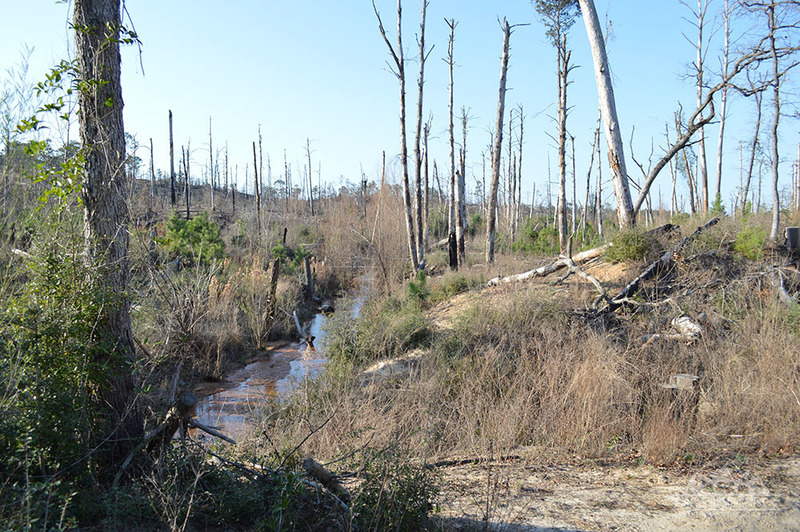 At the State Park, 96% of it burned, along with the protected Loblolly Pines. 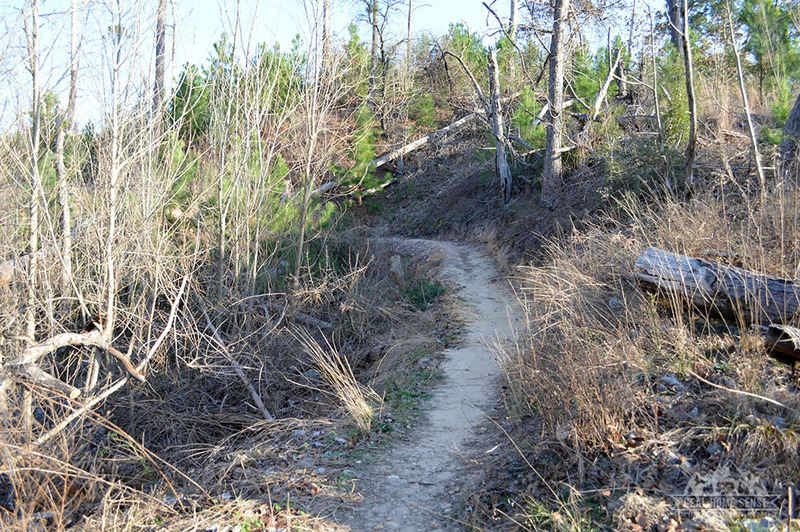 These pines were part of a larger area that stretched between this park and Buescher State Park called Lost Pines Forest. 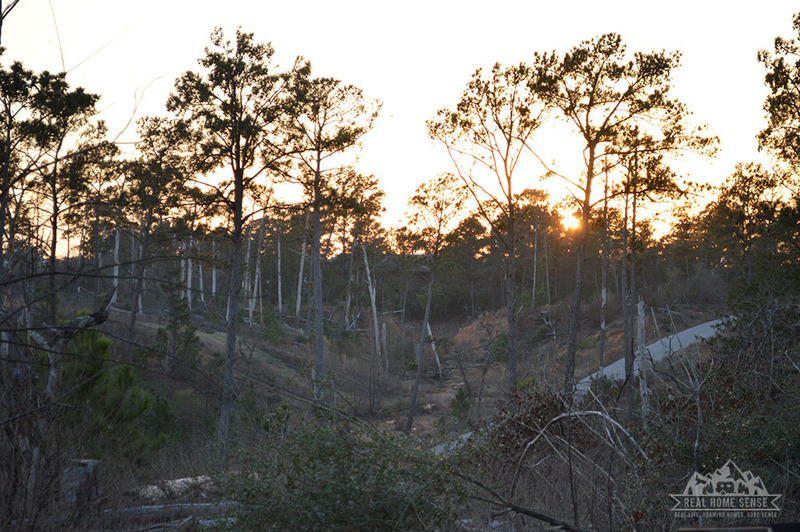 This 13-mile stand of pines was unique because it was geographically separate from, but similar to, the Pineywoods area found 100 miles east in Texas. 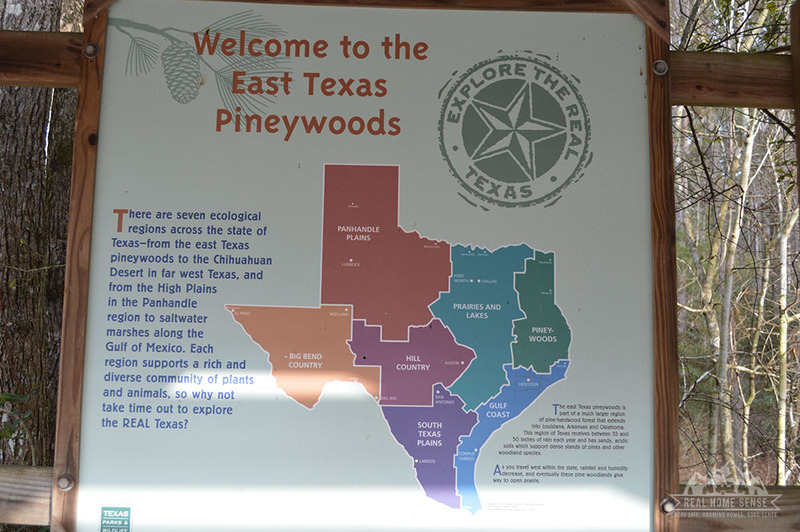 The Pineywoods region stretches into Louisiana, Arkansas, and Oklahoma. 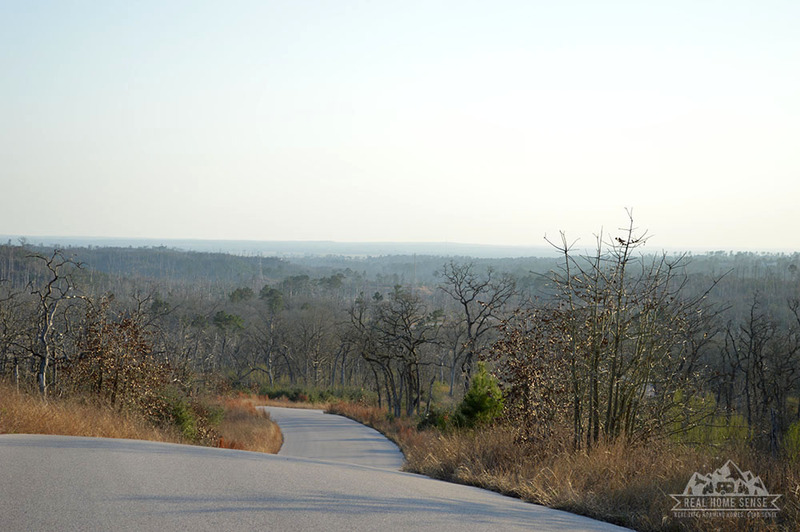 Although the Loblolly Pines typically grew in the Pineywoods ecological region… Bastrop State Park is along the SW side of the Prairies and Lakes region, near Austin, TX. 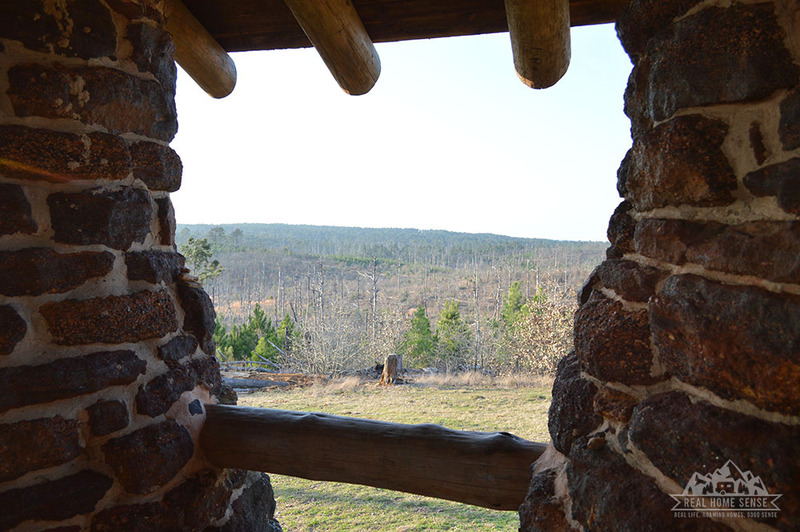 Mother Nature wasn’t finished with Bastrop State Park. 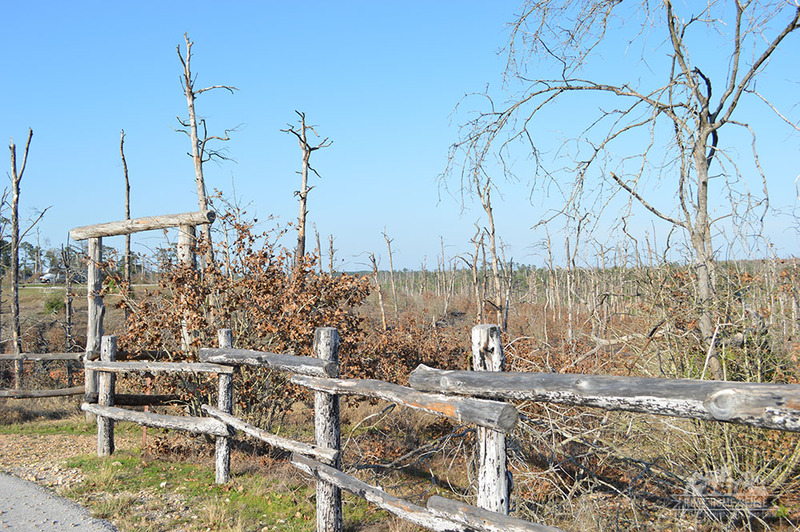 In 2015, in an extreme turn of events, excessive rain caused water levels to increase in Bastrop State Park’s 10-acre Lake Mina. The dam failed on Memorial Day, sending all of the lake water coursing down the Copperas Creek into the Colorado River. Dead trees were pushed downriver, and they piled up along the trails. I am following these trails, now clear of debris, along a docile river sparkling in the fading sunlight. There is no lake to see anymore, but signs of regeneration are everywhere. 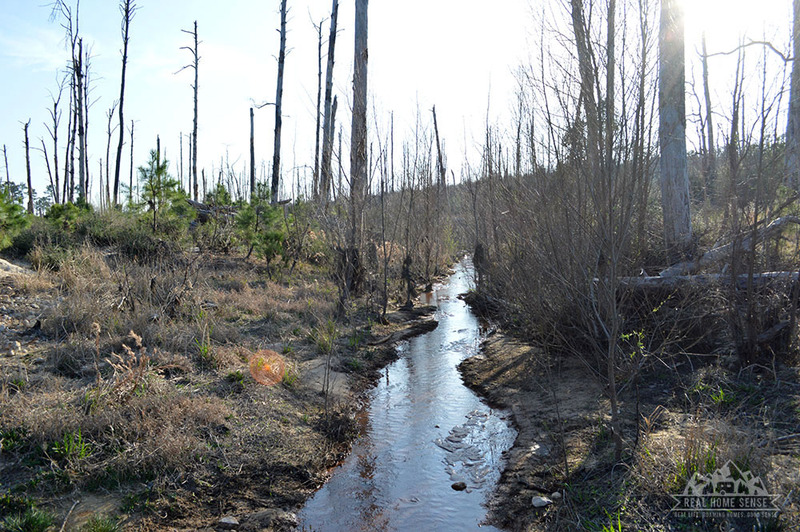 The Loblolly Pines are making a comeback through natural regrowth and planting assistance. I pass a group of Scouts and their leader as I walk along the river. Nods of hello and the occasional wave welcome me to my new lifestyle. The feelings of trepidation make room for excitement. I am loving wandering around in this foreign landscape, but continue to be cautiously aware. The trail moves away from the river and begins to head up towards another ridge with a distant shelter on it. I’m breathing heavy, but am thankful for the slow climb upwards since it’s my first walk in many years that includes a significant incline. 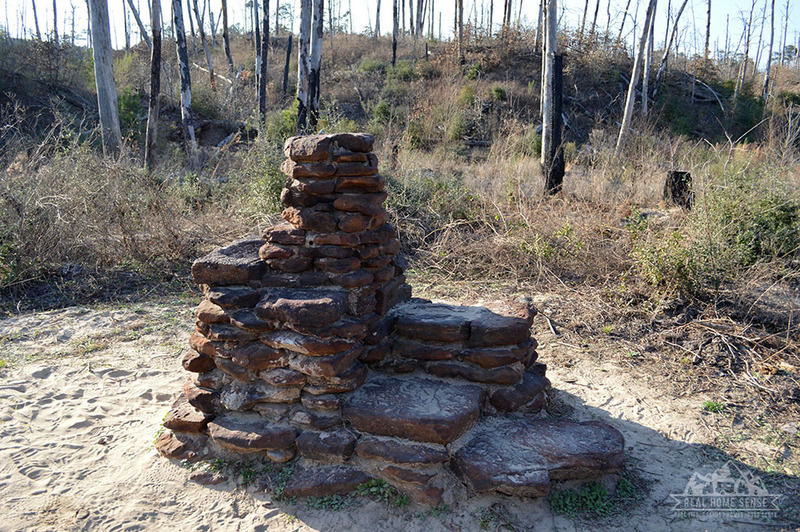 The top of the adjacent ridge. When I reach the top, I appreciate the architecture of the solitary building, originally built in the 1930’s through Civilian Conservation Corps (CCC). I’m unsure whether this structure had to be rebuilt after the fire, but I do know that others were saved. 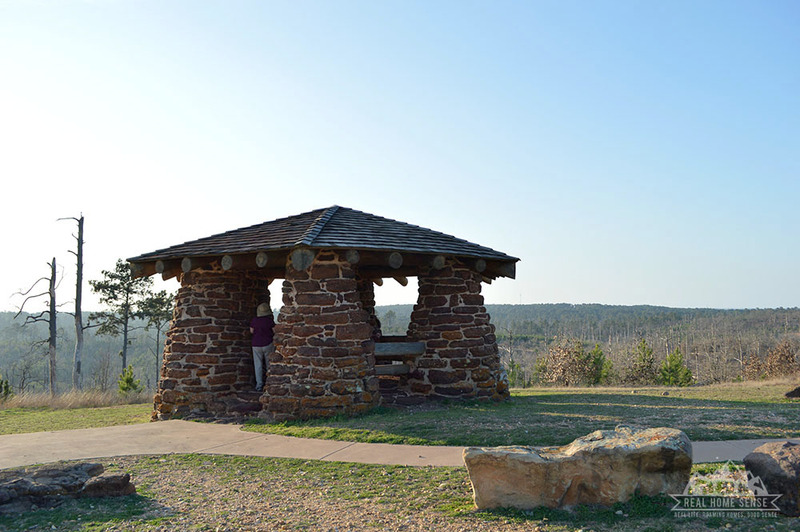 Only seven CCC parks have been recognized for the craftsmanship of the buildings erected in the 30’s and Bastrop State Park is one of those seven, having attained National His­toric Landmark status in 1997. I survey the valley I walked across and acknowledge that I’m proud of my bravery, of trying something new and not allowing my fears to stifle my curiosity. I send off updated snapchats to my safety net of people and begin the walk down into the valley and up the other side of the ridge back to my campsite. I worriedly race against the setting sun but make it in enough time to enjoy a drink in the last light of the day. Tragedies are a part of life and are defined as such by those who experience them. When they are thrust upon us without warning, without preparation, we rail against them harder, and they hurt us deeper. 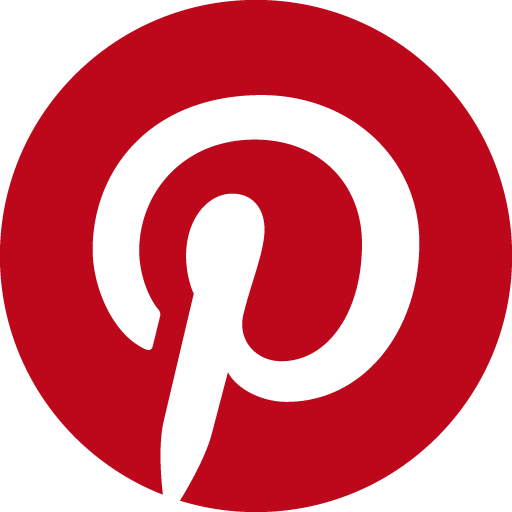 Sometimes the snake doesn’t bite, and we move on, not even realizing what we’ve sidestepped. When hardship does strike, it can be an interminable amount of time before we become hopeful again. 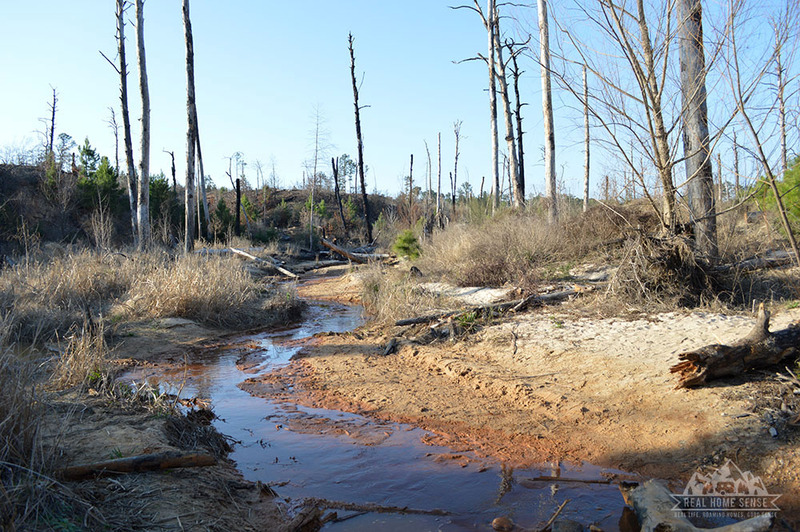 But just like the Loblolly pines pushing through the scorched earth…. we rise… only this time we’re smarter and stronger. I wasn’t at Bastrop State Park long enough to do any other exploring but it looks like a great campground for families. 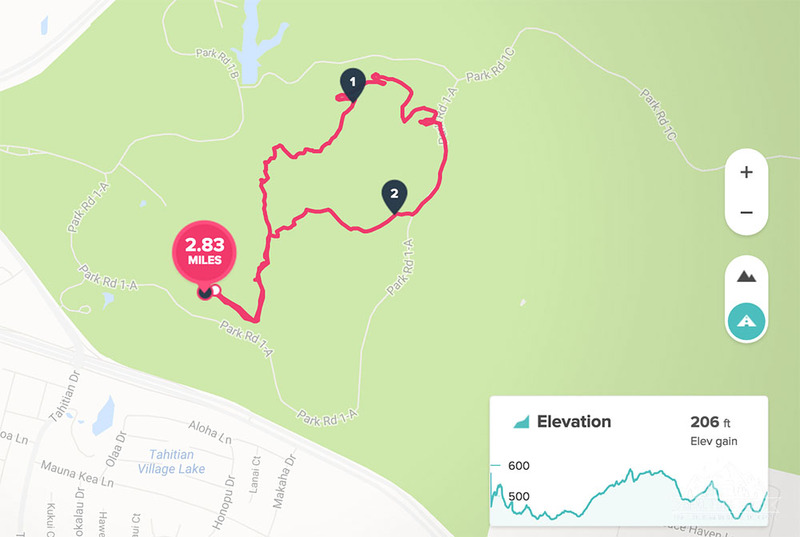 There’s a pool for swimming, roads to bike, a junior ranger program, geocaching, and 7 miles of hiking trails. You can even stay in one of their historic cabins. It would be a nice place to use as a home base to explore the region. I’d definitely overnight again. It will be fun to return one day to see how much both of us have grown.